Excitement, inspirational, family-emphasis and musical excellence are what you can expect to find when you step across the threshold of the auditorium for an evening of worship and praise with The Collingsworth Family. 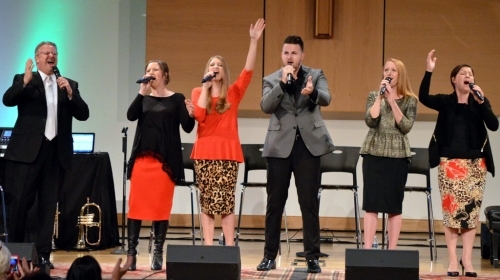 In their 33rd year of ministry, The Collingsworth Family have performed around the world bringing the Good News through their God-given musical talent. Join us for a fabulous day which includes a visit to the famous Big Apple Bakery & Country Store followed by a scrumptious buffet dinner before the concert. Book early as this event is expected to sell out. Prefer to print off the booking form and send it to us?